Until 1973, whale oil was used in the transmissions of many cars. Over the course of his/her lifetime, the average driver will swear roughly 32,000 times while driving. The first speeding ticket was given out way back in 1904, and the driver was going 18 kph. The longest traffic jam of all time occurred in 1980, between Paris and Lyon on the French Autoroute. The jam stretched an astounding 175 km. Sixteen percent of car owners never wash their car. Thrust SSC set a land speed record at 1,228 kilometers per hour in 1997. It is the fastest car ever built and the first land vehicle to break the sound barrier. The world's most produced car is the Toyota Corolla. More than 32 million units have been sold since its introduction in 1966. The following materials are currently being used by researches to make fuel for cars, trucks, and even airplanes: sawdust, wood chips, nuts, used diapers, bad batches of chocolate, cow waste, coffee grounds, and turkey guts. Wheels on purpose-built mining dump trucks can be as large as 12 feet high, and one tire can range from $6,000 to an unbelieveable six figures! The worst part is that, because these trucks carry such heavy loads over rough terrain, the tires wear down extremely quickly. Automobile is a French word which means self moving. The first cars do not have steering Wheel. Drivers used to steer the car with a lever. 55% of the cars produced in the world in 1916 are Model T Ford. Gas gauze first appeared in cars in 1922. Car Radio was invented in 1929. Electric turn signals in cars were introduced in 1938. Car is the most recycled product in the world. Most cars horns beep in the key of F.
First Japanese car in the US was the Honda Accord manufactured in November 1982. Chevrolet Imphala sold over 1 million cars in 1965, which is a record. Airbags in cars takes only 40 milliseconds to inflate after an accident. Ferrari makes a maximum of 14 cars every day. Auto Insurance was introduced in the year 1897 in Westfield, MA. Jamshedji Tata was the first Indian to own a car. He bought a car in 1901. Tata Nano is now the cheapest car in the world. You will spend about two weeks of your life sitting at a red light. Before the 1920s, cars didn't have fuel gauges. Drivers had to guess how much was left in their tank. According to the National Insurance Crime Bureau, 21% of car owners do not lock their doors. 1 in every 170 cars is stolen each year. The first traffic light was used in 1914. It was not automatic, and had to be operated by an officer who manually controlled them from a nearby booth. The most likely time for fatal car crashes is on weekends between midnight and three o'clock in the morning. The United States has an amazing 765 cars per 1,000 people living in the country (including children!). This is the highest cars-per-capita rate in the world. 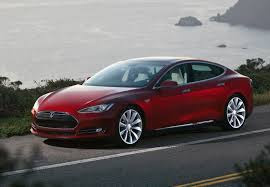 The first electric car was built in 1891 by William Morrison. However, the increasingly popular electric cars fell out of favor once Henry Ford introduced the gas-powered Model T in 1908. In 1911, during the first ever Indianapolis 500, driver Ray Harroun drove to victory ... alone. His car was streamlined and built for only one man, meaning he had no room for the (at the time) traditional riding mechanic. In order to keep an eye on drivers behind him, he mountained a rear-facing mirror in the car. It worked, and he won the race. Soon after, manufacturers adopted the idea, and rearview mirrors became standard safety procedure. It takes about 25 hours to build a car, and 10 of those involve the painting process. In America, more people are killed every year while walking in crosswalks than illegally jaywalking.